Winter has kept us inside staying warm, the upside of all this snow it has given us time to prepare our projects and get them ready for judging on the 13th of June which will be here before we know it. 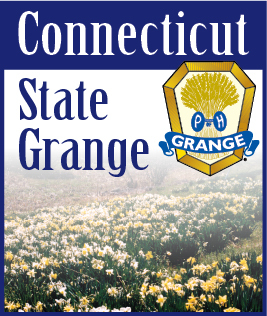 Cheshire Grange has had to postpone their March 4th meeting because of weather, they have rescheduled a speaker for “My Sisters” Place” to Wed May 20th who will enlighten us on the many things they make available to our communities. You will not be disappointed Cheshire always treats us to a great time. Not many of us have ever been homeless, without a job and no food, this is what “My Sister’s Place” provides along with other services to help Women get back on their feet and achieve independence that we take for granted. This is one of our State Projects which we are hoping every Grange will support with a monetary donation these donations can be sent to our State Grange Secretary.